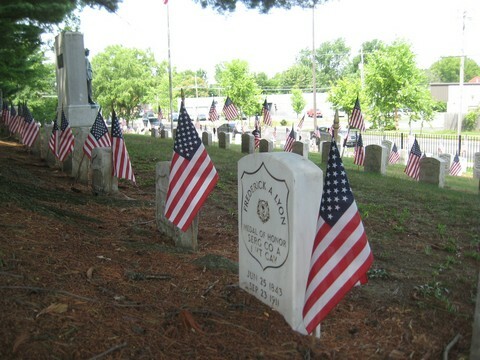 Rank and Organization: Corporal, Co. A, 1st Vermont Cavalry. Place and date: Cedar Creek, VA, 19 Oct 1864. Date of Issue: 26 Nov 1864. 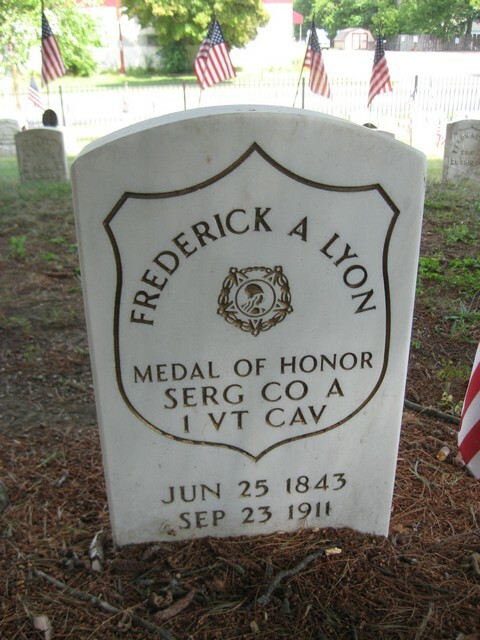 Jackson, Mich., Sept. 26 - Fred A. Lyon, corporal in Co. A, First Vermont cavalry, in the civil war, was found dead in a rooming house here yesterday. 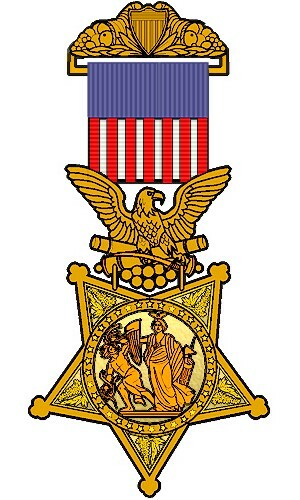 Lyon possessed a silver medal voted him by congress and presented to him at the White House by President Abraham Lincoln, for heroism at the battle of Cedar Creek, where he captured Major General Ramseur of the confederate army. See also: Beyer and Keydel, 447. NARA File Number: R&P 506308.